Plant cloning has been in practice since ages. It is an ancient form that allows the gardener to produce desired genetically identical plant from its parent plant. The resulting clone will have all the characteristics of the parent plant including growth habit, resistance towards various diseases, color of the flower, shape of the fruit as well as total yield of the plant. Also, the complete cloning process becomes easier with the asexual ability of the plants to replicate or multiply themselves. * Firstly, select the stem or branch of the parent plant that has 2-3 sets of leaves. * Leave 2 sets of nodes above the cut. Remove the larger leaves from the stem as they will be difficult to manage by a stem without roots. * Dip the base of the cutting into a cloning gel (like Olivia’s) to prevent embolism. * Place the cutting into the growing medium with at least half inch of the cutting below the growing surface. Parent stock- The condition of the plant at the time of cutting is vital to plant cloning. Good quality mother plant produces better yielding and disease resistant clones as compared to stressed out plants. Also, the mother plant should be kept in vegetative state and replaced every year as cuttings from younger plants root easier than those which are a few years older. Growing medium- Planters should chose those growing mediums that are allow free entry of oxygen and also retain less water. Rooting hormone- For easy rooters, Olivia’s cloning gel should be used. Clonex should be used as a rooting medium for cuttings that are difficult to root. Water quality- Water quality is often ignored during plant cloning. Water must contain required minerals for cuttings during the rooting process. pH of the water should be balanced (6-6.3). 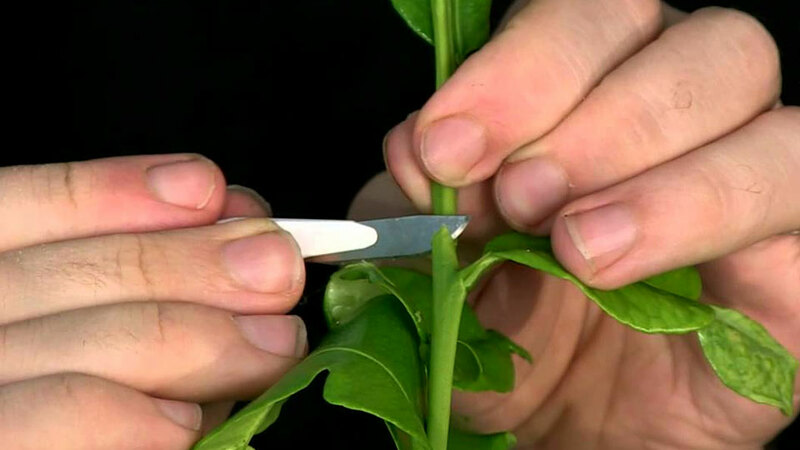 Temperature- The ideal temperature range for cuttings is 72 degree Fahrenheit- 80 degree Fahrenheit. Humidity- The ideal humidity range for cuttings is 70-80%. Low humidity will fasten the process of transpiration from young cuttings than they can absorb from the growing medium. Light- Fluorescent light is best suited for cuttings as it is a soft light and has the right balance of red and blue spectrum. CO2- CO2 is required by the leaves of the cutting as they absorb it and along with water, converts it into sugars. Aeration- Roots require dissolved oxygen for proper growth of the cutting. Some of the available cloning machines in market are Power Cloner by American Agritech, EZ clone by EZ clone and Clone Machine by American Agritech. The major advantage of plant cloning over multiplication via seeds is that the gardener knows the type of plant they will get as a result of this cloning. However, plant cloning restricts the diversity of the plant, making it prone to various pests and diseases.